Facebook with its advertising panel has opened many new avenues for advertisers all across the globe. From going global with your products & service through ads to targeting the people with specific age; you can do it all at one place only. With Facebook advertising you can reach people at any place and stay connected with your target audience all the time. From sending people to your website, increasing engagement to turning them into potential buyers; all this is possible at single platform. However, you may not get the desired result if an ad is not run properly. Yes, you heard it right! 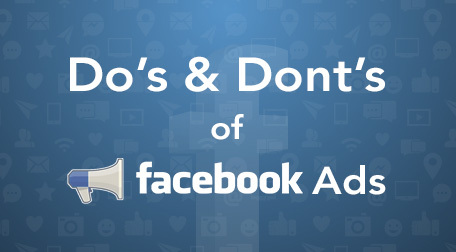 There are do’s and don’t when it comes to running an Facebook ad. So, let’s have a look at the points that you should keep in mind while running a Facebook Ad. Complex Ads & Information – Too much information becomes a forgotten piece of information too easily. So, if you are giving out too much information or presenting the content in a complex way in the ad, then it may not connect with the audience well because people understand simple and easy things. Not any random Ad image – Image is the first thing that anyone looks at when your ad pops up. So, just don’t use any random image, which does not have any connect with your ad or does not give out any meaning. The image should be clear, focused, and of high quality. Text Percentage – It is necessary to check the text percentage of your ad, which should not be more than 20%. According to the policy of Facebook, you should not have much text or a cluttered ad with too many elements because it takes away the attention and also it will not be able to grab the attention of your audience. 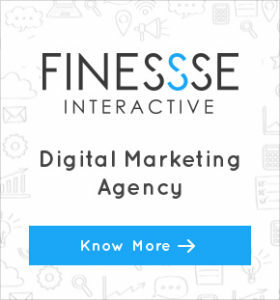 Call-to-action – It is important to have a Call-to-action button attached to your ad, which gives your audience the clear message as to what is the purpose of the ad. This will also tell audience what needs to be done with the products or services shown in the ad. Message – This is one of the most important aspects of the ad – the message. Yes, if not given in the right context it can go entirely wrong and people may not be able to connect with the ad or may even skip the reading part. Simple & Consistent – The life of an ad on Facebook is quite short, so it is important to have a consistency with your ad by keeping it simple. Only by being consistent and simple ads you will be able to catch the attention of the audience. So, now that you know the do’s and don’ts of running Facebook ads, it’s time to connect with the audience the right way!